Today, I spill my bucket of kisses! But for real, without these little gems I'd fear for the appearance of mes lèvres. I'm pretty low maintenance when it comes to lip care, but there are a few budget friendly options that I really can't live without. When it comes to exfoliation, I try to keep up a pretty consistent routine to avoid the chapped dryness. After my shower, I gently rub a towel across my lips in a circular motion. It gently brushes off any rough bits and leaves my lips looking nice and plump. I follow up with a light hydrating creme like Nivea or Aquaphor ointment. They key is moisturizing lips right after they have been hydrated and exfoliated with water and a light brushing, to truly lock in the moisture. See my favourites below for the times when a simple Chapstick just won't cut it. This is the most convenient exfoliating product I've found to date. At $3, Eyes Lips Face makes a great sugary scrub to easily buff off dry skin. They say "infused with Vitamin E, Shea Butter, Avocado, Grape and Jojoba Oils to nourish and protect." Don't scrub too hard though! This is a pretty powerful little thing. A German made classic, Nivea has been a staple in my european household since birth. Just over 100 years old, Nivea Cream was the first water-in-oil emulsifier. In this product, both water and oil bind together in a stable white cream so you get long lasting hydration and conditioning. Eucerit is the "emulsifying agent" which is made from lanolin. Derived from sheep, Lanolin is one of the hottest chapped skin conditioners in nearly every expensive balm. But despite Nivea Creme's initial white appearance, this inexpensive miracle cream sinks in like a dream and truly works wonders as a deep, intense moisturizer for the entire body. Every evening, I apply a bit of Smith's Minted Rose Lip Balm before I hit the hay. Previously featured here, this yummy minty balm is a great unscented alternative to Aquaphor ointment. One pot lasts forever and works better than any other thick gloopy salve I've tried in the past. Big favourite. Burts Bees, Chapstick brand, Blsitex and Palmer's Cocoa Butter Stick are all wonderful options to keep in your bag for on-the-go lip care. Although they work the best as a quick fix, I find that any severe dryness or irritation won't be cured with the swipe of a simple balm. I love that the e.l.f. scrub is in a convenient stick, and Nivea is safe to use all over the body. One tin of Smith's balm lasts forever and it's the perfect glitter-free consistency. 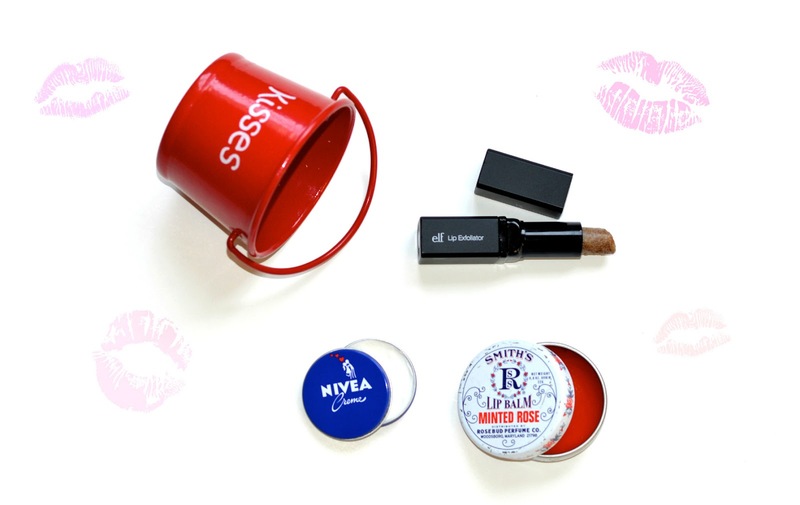 A+ for all these unisex lip savers. What are your go-to's?